The oldest tree – a cluster of Norway Spruce found in April 2008 on a mountain top between Sweden and Norway, aged from 4500 up to 8000 years using carbon dating method. Methuselah – a bristlecone pine in the White Mountains of California, was the oldest known living tree. Now, scientists have found a cluster of spruce in the mountains in western Sweden which, at an age of 8,000 years, may be the worldâ€™s oldest living trees. Norway Spruce (Picea abies) is a species of spruce native to Europe. 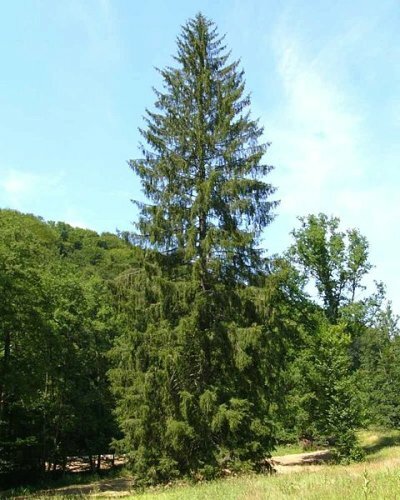 It is a large evergreen coniferous tree growing to 35-55 m tall and with a trunk diameter of up to 1-1.5 m. The shoots are orange-brown and glabrous (hairless). The leaves are needle-like, 12-24 mm long, quadrangular in cross-section (not flattened), and dark green on all four sides with inconspicuous stomatal lines. The cones are 9-17 cm long (the longest of any spruce), and have bluntly to sharply triangular-pointed scale tips. They are green or reddish, maturing brown 5-7 months after pollination. The seeds are black, 4-5 mm long, with a pale brown 15 mm wing. It grows throughout northeast Europe from Norway and Poland eastward, and also in the mountains of central Europe, southwest to the western end of the Alps, and southeast in the Carpathians and Balkans to the extreme north of Greece. Oldest trees (“oldest” by region or species), listed by age. a cluster of Norway Spruce found in April 2008 on a mountain top between Sweden and Norway, aged from 4500 up to 8000 years (carbon dating). Prometheus, cut down in 1964 aged ca. 4,900 years. Methuselah Great Basin Bristlecone Pine, California, United States, 4,800 years. Fitzroya found in Chile, 3,600 years. Senator, Florida, United States, ca. 3,500 years. Patriarca da Floresta, oldest tree in Brazil, ca. 3,000 years. Sri Maha Bodhi, Sri Lanka, 2,300 years, oldest known human-planted tree. Fortingall Yew, Scotland, ca. 5.000-2,000 years, oldest tree in Europe. Bar olive tree in Montenegro, ca. 2,000 years. The yew grove in Khosta, Sochi, Russia is known to possess several 2,000-year-old specimens. Granit oak near Stara Zagora Bulgaria, ca. 1650 years. Saint-Mars-sur-la-Futaie, oldest tree in France, a hawthorn aged some 1,500 years. Seven Sisters Oak, Louisiana, United States, 1,500 years. Kongeegen, Denmark, 1,500-1,200 years, oldest oak tree in Northern Europe. Baikushev’s Pine, Bulgaria, ca. 1,300 years. StelmuÅ¾Ä— oak, ca. 1,300 years, oldest tree in the Baltic states. HenrykÃ³w LubaÅ„ski, oldest tree in Poland, 1,260 years. Onzelievehereboom, oldest tree in Belgium, ca. 1,200 years. 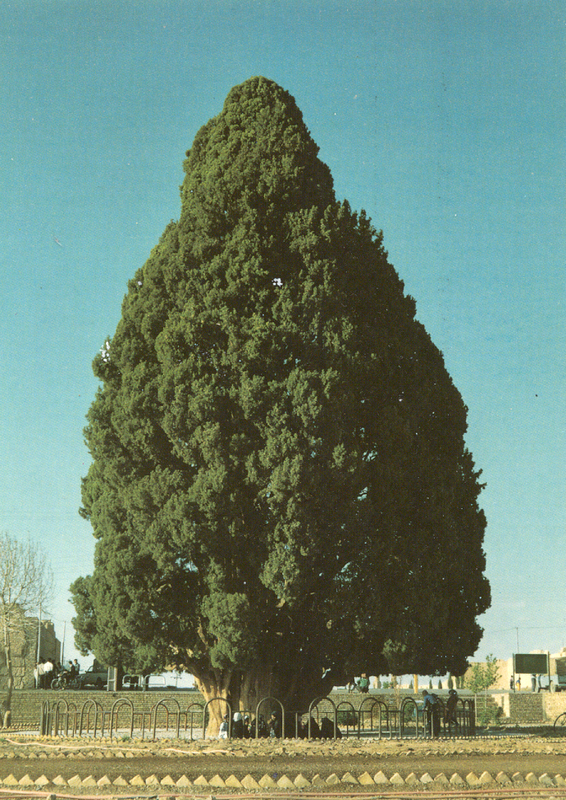 Ãrbol del Tule, estimated between 1,200-3,000 years, considered the oldest tree in Mexico. Schenklengsfeld linden, oldest tree in Germany, 1,120 years. Bowthorpe Oak, oldest oak tree in Britain, ca. 1,000 years. Tsurugaoka Hachiman Shrine ginkgo, ca. 1,000 years. Stoke Gabriel Churchyard Yew, ca. 1,000 years. Umbra forest, Apulia, oldest beech, ca. 700 years. Queens Giant, ca. 450 years, oldest tree of New York metropolitan area. Tree of Life, Bahrain, 400 years, oldest tree of Bahrain.